In order to help tuberculosis people in the community and spread the disease, the Public Health Association will organize a program to take free mobile X-ray and test of sputum in some districts in Ho Chi Minh City. This is one of the activities jointly organized by the Association and Pham Ngoc Thach Hospital under the sponsor of Friends for International Tuberculosis Relief (FIT). The program is expected to provide X-ray to 2,500 people who are at risk of catching the disease yet they can’t afford treatment of tuberculosis in hospitals. They are those who contact with tuberculosis, people living with HIV/AIDS and patients with chronic diseases living in slum blocks and dilapidated rented houses. After taking X-ray for people, medical workers will tell people the result at the spot. For those who are diagnosed to have tuberculosis, they will undergo sputum test by Gene-Xpert. If test result is positive, medical workers will help people to register in the national anti-tuberculosis program as well as they will consult people. As per the plan, the mobile X-ray program will start in districts 7, 8, Go Vap on March 24; in districts Tan Binh, Hoc Mon on March 25 and in districts 6, 12 and BInh Chanh on March 31. 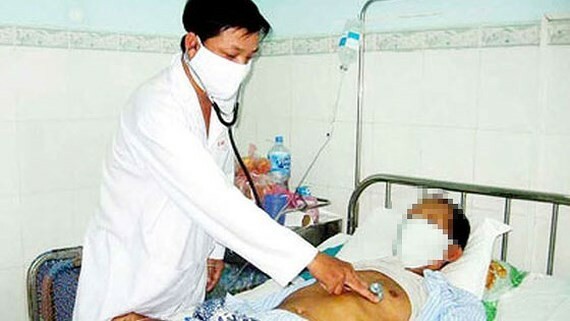 At present Vietnam ranks 15 amongst 30 nation with high rate of tuberculosis patients with around 123,000 fresh cases of tuberculosis annually. Early detection of tuberculosis patients and treatment are helpful for curbing transmission; accordingly, the health sector must take initiative to discover tuberculosis people in the community.